During August 2018 there is the chance to hear a new Anglo-Icelandic opera in London, as part of the Tête à Tête: The Opera Festival, and in Hull and Manchester. 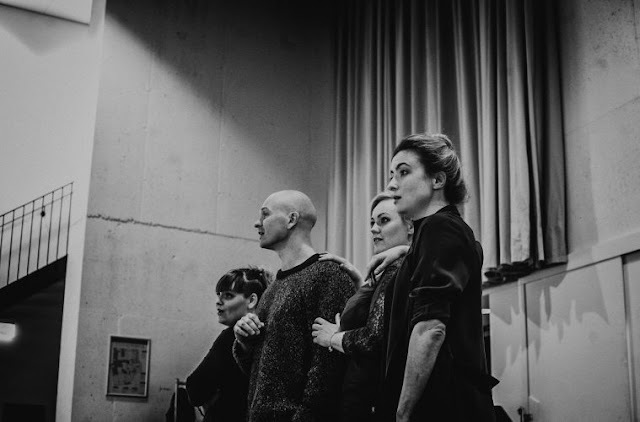 With music by Michael Betteridge and lyrics by Ingunn Lára Kristjánsdóttir who is also the director, #echochamber was premiered in Iceland in May 2018 by Alþýðuóperan (Folk Opera Iceland), and is a collaboration between Icelandic and British artists, The Aequitas Collective. #echochamber will be performed at Middleton Hall, Hull University (10 August 2018), 53Two, 8 Albion Street, Manchester (14 & 15 August), and The Place, 17 Duke's Rd, Kings Cross (17 August). Further information about the opera from the Gay Iceland website, and performance details from the Tête à Tête website, and from The Aequitas Collective Facebook page.